Apple has released the GM Candidate build of OS X El Capitan for Mac users participating in the Mac Developer Beta and OS X Public Beta programs. Additionally, Apple has announced that OS X 10.11 El Capitan will be available to the general public on September 30 as as free download. GM is short for Golden Master, indicating it is the final build in a software production cycle that will be released to the public. In this case, the final build of OS X 10.11 arrives as 15A282b, and the download is available now from the Mac Developer Center, as well as the Software Update function of the App Store. The update download is about 2GB and requires a reboot to complete installation of. The GM update is rolling out now for Mac users in the developer beta program and OS X 10.11 Mac Public Beta. The OS X 10.11 GM Candidate install app is 6GB. If you’d like to make a bootable install drive of OS X El Capitan GM as shown here, you’d want to download the installer application to do so. If you don’t find the update available in the Mac App Store, and it’s not shown under the “Purchases” tab, you can try refreshing the Updates tab, or using this trick to unveil the missing OS X beta updates by updating the catalog URL. Otherwise, you’d likely want to log into the Mac Developer Center and redeem a new download code from Apple. 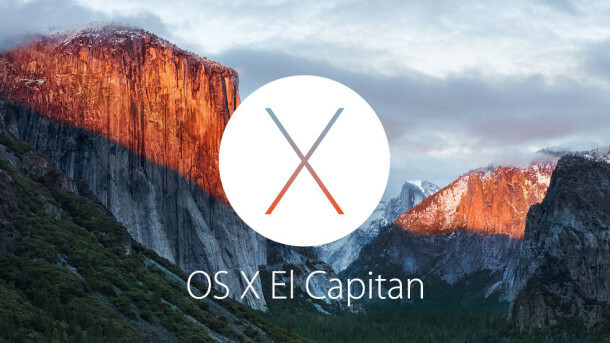 The general public will have access to OS X El Capitan as a free download on September 30. Apple announced the release date in a creatively sneaky fashion, hiding it as an email in their keynote unveiling of the newly released Phone 6S as seen in the image below, and later clarified the download date on their website. Developers can also find iOS 9 GM available to download now, alongside iOS 9.1 beta 1 for their iPhone, iPad, and iPod touch. The official date is also available on Apple’s website: http://www.apple.com/osx/. Can’t wait for September 30. Running the OS X El Capitan GM right now, it’s good! Much better than OS X Yosemite was on first release, I must say. Very nice, it feels like a bit like Mac OS X Yosemite Service Pack 1, refined, faster, better UI, better font, but otherwise nothing new or different. I’m sure there are little things here and there, but you know what I mean. Have you found the download of OS X El Capitan GM in the App Store for public beta users yet? Mine has not shown up yet, I know I should wait a few hours but I am impatient heh. I have the same problem. I’ve been in the public beta program for El Capitan from the beginning, but the GM candidate has not shown up in my purchases. Same for the iOS 9 GM candidate. Well done Apple, let’s hope all the bugs have been ironed out. Can’t wait for 30 September either. This last public beta version of El Capitan has been rock stable and fast for me. Knock on wood, no problems with it yet. No, you obviously don’t understand the progression from Alpha to Beta to Gold Master. Gold Master is not a Beta, it is finished ready for public release. They may change the build before the release date but it is not Beta software. Here the heading is posted, but the download links say Coming Soon…. What’s the catalog URL of this release? Correct, but it seems you have to download it separately. Looks like they pulled the update first, and then re-released it but with an earlier build (15A282a). At least, that’s what I got when I downloaded the GM off the purchases tab in the App Store. The GM is back online downloaded it now will install tomorrow. GM 1. How is the Terminal code for creating a bootable Usb stick with El Capitan Golden Master? The one from the Public Beta doesn’t work. so i am still on yosemite. should i install the gm or wait for the final? can i. easily “update” from the gm? Good question Max, can you easily update from the GM to the final release on 30 September? Does anyone know? Yes this is GM Candidate 1, so if another OS X 10.11 GM Candidate 2 appears, then it should appear as a software update through the App Store. That’s how it should work, anyway. Is it possible to change the directory view in Mail to the old one of Yosemite? I don’t know why apple changed it here, but it is more complicated and need much more space .. Installation problem El Capitan GM. Just downloaded the GM from the purchase tab. It started to install. After about 20 min I had to log in with my Apple ID. Now for another 15min it seems it is still logging in…. What to do? Currently viewing the GM page while using the GM. It works very nicely. Who I go to the purchased tab, to download the GM Candidate release, the DOWNLOAD button has changed to DOWNLOADED and is Greyed Out, not allowing to be clicked. Tried logging out and back into the store, no change. When I go to the purchased tab…. Check your /Applications/ folder it may have downloaded and be in there, if there is an installer in that folder just move it out of the folder then re-launch App Store to be able to get the ‘download’ button again. I needed to remove the “Beta Install Application” from the /Application folder. Then relaunch the App Store. sudo /Applications/Install\ OS\ X\ El\ Capitan\ GM\ Candidate.app/Contents/Resources/createinstallmedia --volume /Volumes/ElCapInstaller --applicationpath "/Applications/Install OS X El Capitan GM Candidate.app"
The GM never showed up in update section of the app store so I downloaded from the purchase tab. Well, nice classy lesson of democracy…about a REAL FEATURE of this new OSX. I am not out when i was saying “Welcome the Jail” ! I’d be interested to hear what your post was about rootless. I assure you, we didn’t ban any post, it was probably filtered automatically by the spam filter for using bad language or too many links. The only posts we manually intervene with to ban or edit are the spammy or offensive ones that get through the filter. I have already installed the latest build for El Capitan. But why do I have to download a whopping 6 gigabytes? Isn’t it supposed to be only 2 gigabytes or something? Someone please clarify for me what exactly I’m downloading in this update. So is this an upgrade from the latest beta build? No, it’s the complete, final build. You can use it to upgrade from the latest beta build, but this is not an update for the beta this is a release candidate which in other words with this you are looking at the possible public release build that we’re gonna get by the end of this month. The reason it’s a 6GB file it’s because many things have to go out of beta and have to be patched as a stable build. I would suggest doing a clean install if you’re planning to use the GM or wait for the final release on September 30. Can somebody please tell me the amount of space El Capitan will take on my MacBook Pro with 128GB SSD? I’ve installed it and I’m still running out of space. I would also love to do a format and clean install, but that to, seems impossible to find accurate information on how to accomplish. Thanks! Nevermind, got it to take, just had to restart. But all the same, no where does it say how much room the OSX needs to run…. The typical OS X footprint on a clean install is usually 9-10 GB. Thank you Patrick. The clean install on my macbook was the answer. OS X El Capitan and related components seem to take up about 16GB by itself, and you’ll want at least a buffer 2x the size of your total RAM for memory swap and cache files. With a 128GB drive, try to keep at least 20GB available so you have adequate room for everything. Always back up your important files before installing any software updates, and remember a clean install wipes the entire drive clean and you lose all data. Great information Paul, thank you! On Public Beta 6…GM is in the purchases tab..if I upgrade to the GM…will I lose my all my data? Just was caught off guard that it wasn’t in the upgrade tab. 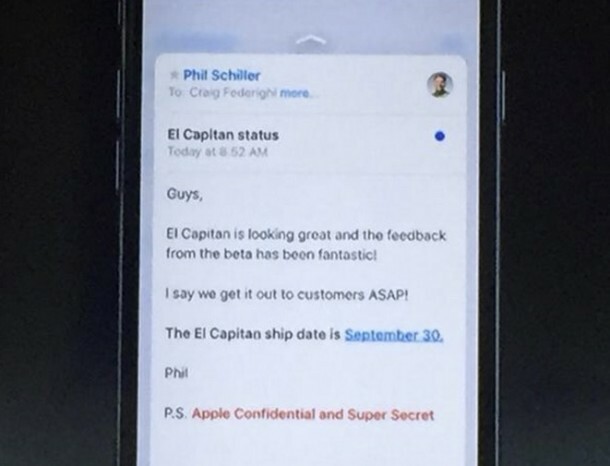 It seems that we will have to wait one more day for the official release of El Capitan. While this page used to mention that El Capitan is coming “this fall”, now it says “this spring”. It seemed a little odd, so I clicked the “Get a preview” page and it says “Coming 1 October”. I guess I made a mistake. Without realising it, the country changed to “Australia”. So these days are referring to the release in Australia perhaps? Who knows. I installed the GM on my iMac and have noticed only one problem. In Safari, watching PureFlix movies, the movie stopped after a few minutes. I tried again and received the same issue. Had to use Firefox to watch the complete movie without any problems. Netflix does not give me any problem, so, perhaps it is just a streaming issue with PureFlix. I did submit the logs to Apple. Otherwise, I like being able to have the top bar and dock hidden so I can view my apps in full screen mode. El Capitan is faster and I am waiting for September 30th to install on my other Mac’s. ever expect GM version better,but,some more new UI bugs,hah hahahah,i wonder if my machine doomed or what…. god b… apple! I’ve installed the GM on my iMac. Now the 2 Seagate External Hard Drives I had attached are now NTFS. Which they weren’t pre-install….which now they are read only drives, with ownership disabled. I also, do not have a “lock icon”, after hitting “get info”, and yes I’m an admin on the machine. Once again, quick to jump to conclusions. Had to install again the software from Seagate which allowed the drives to be written too. All good! installed El capitan, i have Office 365 and installed Office for Mac 2016, now after 5 min of working on it it stops working, i have also the previous version of Office and the same is happening. please help! Hi! I have the El Capitan beta installed on my MacBook Pro and I want to install the official release (and leave the developer program) when it comes out on the 30th? What do I do on that day? Sadly, the true small caps function via typo panel of opentype fonts (not delivered with OSX) still doesn’t work. Since my update today to OS X El Capitan my USB is not visible anymore in Finder. What can I do? The USB worked fine before the update and still works on other computers.